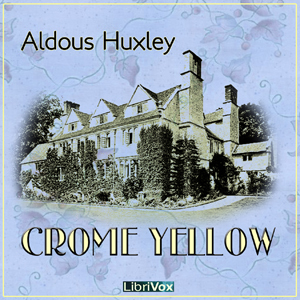 Crome Yellow, published in 1921 was Aldous Huxley's first novel. In it he satirizes the fads and fashions of the time. It is the witty story of a house party at 'Crome' where there is a gathering of bright young things. We hear some of the history of the house from Henry Wimbush, its owner and self appointed historian; Apocylapse is prophesied, virginity is lost, and inspirational aphorisms are gained in a trance. Our hero, Denis, tries to capture it all in poetry and is disappointed in love.